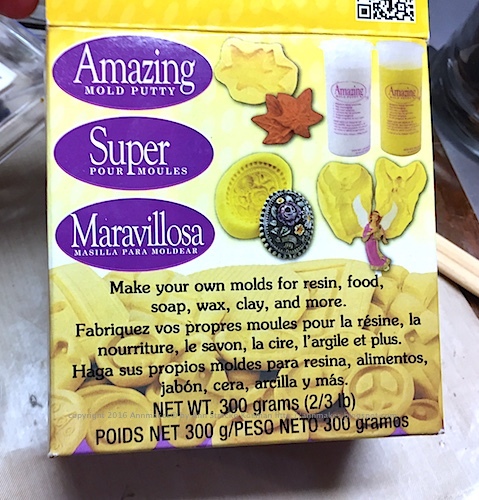 Today, I am sharing my own adventures with Amazing Casting Products (www.moldputty.com). 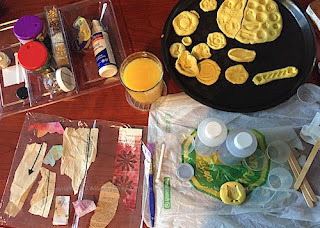 I scavenged through my studio and found a lot of objects and bits of ephemera to make molds off and to alter. 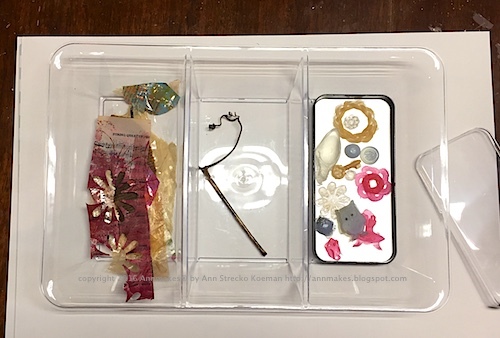 I love the idea of making more of some of the special items I have collected over the years and always find too precious to use. Now I can make multiples of these loved pieces in my Mixed Media Art. Here is one of the projects I completed just in time for Halloween. To begin I used Amazing Mold Putty to make molds of a selection of items I gathered from my studio. 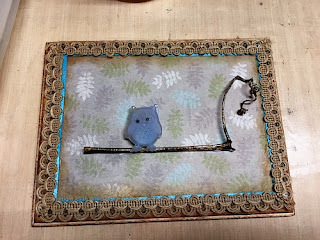 Some of my favorite items I wanted to replicate include vintage buttons I have collected over the years, an angel ornament from years ago, an old brass drawer handle, old jewelry passed down to me, a light bulb, and the cutest little owl button I already had in my stash. 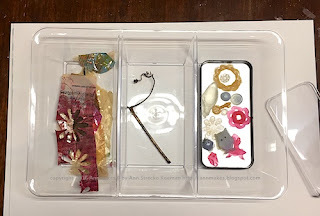 In the tray in the photo above you can see the pieces, I coated with the Amazing Clear Cast Resin (https://www.youtube.com/watch?v=xdk...) And the objects I made with the Amazing Mold Putty AND the Amazing Resin. Note that I even colored some of the resin with pigment powders to make the colored pieces, including the owl. 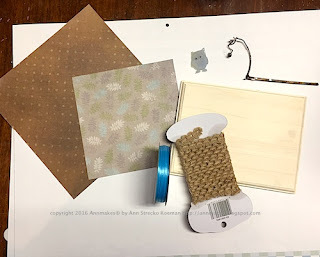 I gathered some craft supplies I already had in my stash to make the project shown at the beginning. 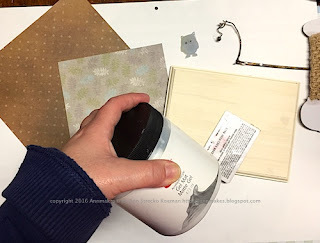 To adhere the papers to the wood plaque and also to adhere the resin pieces I used Gel Mat Medium. Before any gluing was done I used a file to smooth any uneven edges. 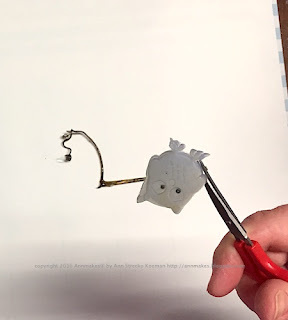 I used small scissors to trim off bits of resin. To make this guy/gal I added a pinch of iridescent blue pigment powder into the resin during the stirring stage. I poured just a bit of resin into the mold, and I added two tiny beads for his eyes before I completely filled the mold with the resin. Here is the project all glued down waiting for a tree to hold the branch. LOL! To complete the piece I used some vellum with a sticky back, ink, stamps, and glitter to make the speech bubble. Here are the supplies I used to make Hooty! 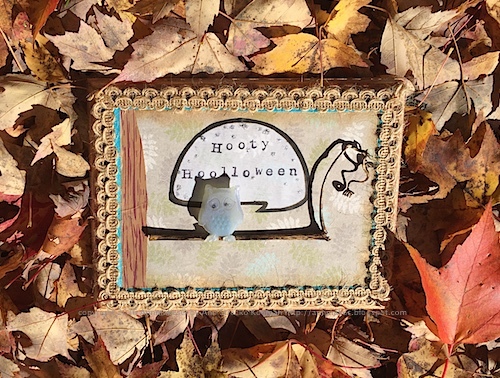 Thank you very much for stopping by, and please visit ALL of the Designers Blogs who are participating in the Amazing Casting Products hop. Readers enter to win by commenting (on one or more blogs) then entering to win via the Rafflecopter widget which will be on the DCC blog. 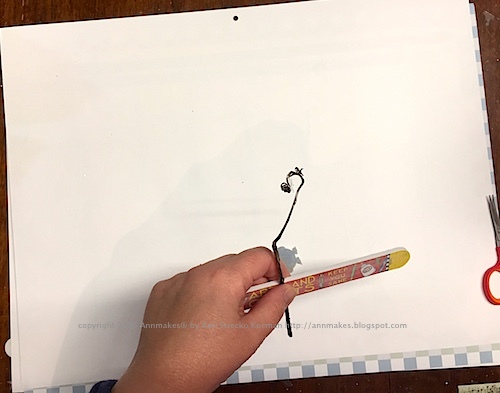 (see rules there) One entry for each comment. **The following are links to products similar to those used in making the project. If you purchase through any of these links I will receive a small monetary commission. Thank you.